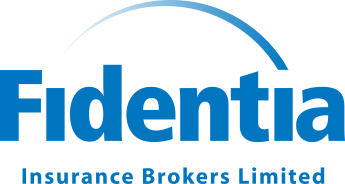 We believe that the ultimate test of any Insurance Broker is the service clients receive in the event of a claim. We recognise that a first class claims service is ultimately at the heart of our client’s requirements and therefore, we have an experienced and committed in house claims team who have an exceptional approach to meet these expectations. Our claims team have attained vast experience over many years working within the insurance industry and are able to deal with a range of claims, varying from simple to high value complex cases - across a broad range of insurance classes. Unlike some brokers, we do not outsource claims management. All our clients’ claims are handled by our in-house claims team to ensure a high standard and personal service is consistently delivered. It is imperative that you comply with your policy terms and conditions, so you should familiarise yourself with any Claims requirements. Depending on the nature of the incident, certain information will be required to ensure that Insurers are in a position to consider the claim. In this section, we have given a broad guide of likely information you will be required to submit, but please do contact one of the team on tel +44(0)20 3150 0080 or email claims@fidentiains.com for more information. Thank you very much Scott for the resolution of our claim - that is great news! Thank you also for all the effort you have put in and your patience!